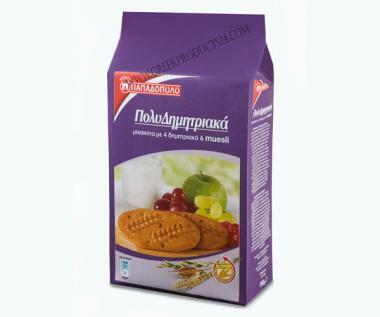 Multicereal biscuits With 4 kind of cereals and Muesli. For those of you looking for a rich taste of fruits and nutritional value of 4 cereals, vitamins and trace elements. Combine them with a yoghurt and a glass of natural juice and the breakfast becomes delicious!